Salt: without it, food can seem tasteless. It is the reason sea water burns our eyes and skin. Some people enjoy salt water baths. Is it good for us? Is it not? Do we really know? In modern medicine, we tend to have a generally negative feeling about sodium, the element found in salt. Excessive sodium intake is linked to water retention, and it is also a risk factor for high blood pressure. Both excessive sodium intake and high blood pressure are major risk factors for developing heart failure, and for causing complications in those with existing heart failure. Given that 6.5 million American adults have heart failure, restricting salt intake might profoundly reduce risk for this major medical scourge. Indeed, we advise our patients with heart failure to restrict the amount of salt they consume per day. For years we have been telling them to stay away from salty fries and Chinese takeout, which may have up to 7,000 mg of sodium in a single meal. We consign patients hospitalized for heart failure to a bland “low salt, heart healthy” diet until discharge. But what do we base the low-salt recommendation on? Is this just anecdotal? Or do we have evidence that guides our recommendations? In the spirit of open-mindedness, let’s debate this question. Sodium intake is associated with fluid retention, hence the puffiness and bloating that may follow a very salty meal. And excessive sodium intake may worsen high blood pressure, or hypertension. High blood pressure increases the risk of developing heart failure and can worsen existing heart failure. Hypertension may also lead to other types of heart disease, stroke, or kidney failure. A low-sodium diet may help lower or prevent high blood pressure, and may reduce the risk of such diseases. High-sodium diets are also usually high in total fat and calories, which may lead to obesity and its many associated complications. Some studies also suggest that there may be a link between sodium intake and osteoporosis and stomach cancer. Additionally, consuming salty foods over a long period of time can accustom your taste buds to the taste, and in turn make you more likely to reach for saltier foods. Cardiologists tend to practice evidence-based medicine, yet many of our recommendations regarding sodium intake for people with heart failure are based on assumptions. Surprisingly, it is hard to say there is enough evidence to state beyond a shadow of a doubt that patients with heart failure should be restricted to the 2,000 mg of salt per day most physicians recommend. And realistically speaking, how many patients abide by this restriction remains unclear, because sodium is in almost everything we consume. 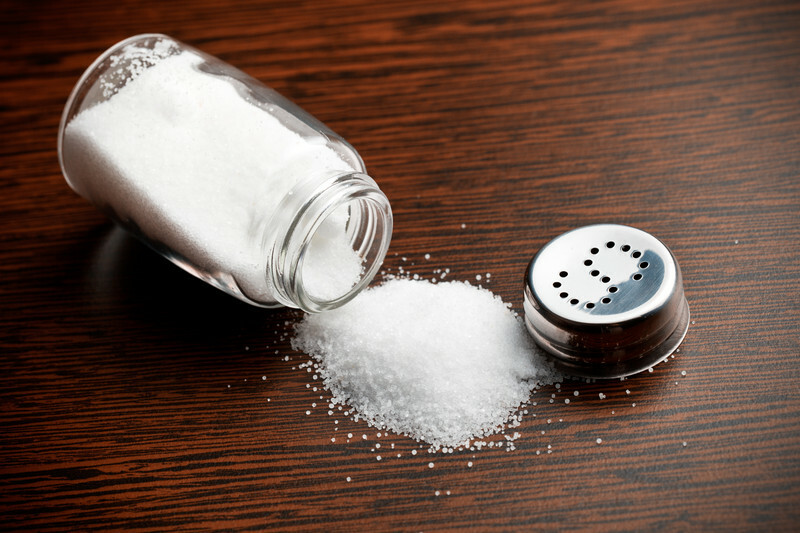 In a systematic review of nine studies recently published in JAMA Internal Medicine, only limited and inconsistent evidence was found supporting any benefit of salt-restricted diets for non-hospitalized people with heart failure. The evidence for salt restriction was inconclusive in patients admitted to the hospital for heart failure. This was a well-done study; only nine of 2,655 studies evaluated were rigorous enough to include in the review. So perhaps most importantly, this review illustrates that regardless of the conclusion, rigorous, evidence-based data regarding sodium restriction in heart failure are not available. The lives of our heart failure patients are complicated enough as it is. It is imperative that whatever we recommend for our patients does not further worsen the quality of their already difficult lives. Since patients often struggle to maintain adherence to therapies in heart failure, our focus as physicians should be on stressing the things that are evidence-based. This includes adherence to guideline-directed medical therapies and favorable lifestyle interventions, such as more exercise, and care of other relevant medical conditions, such as diabetes. Take some of what we say with a grain of salt (pun intended). There is not yet enough evidence for either side of the great salt debate to win. And our discussion should not lead patients to consume salt in excess until we know for sure. Indeed, in the absence of good clinical data, one must accept the need for good clinical judgment: avoiding excessive amounts of sodium is a healthy move for all of us, including those with heart failure. It’s also highly likely that some patients are more salt-sensitive than others. Thus, directing salt restriction to those most vulnerable might be better than a one-size-fits-all approach. Studies in this area are very much needed. Fortunately, clinical trials to address this question are ongoing, so stay tuned!